The Flea is expanding east. CLEVELAND -- The popular monthly Cleveland Flea event is expanding east. 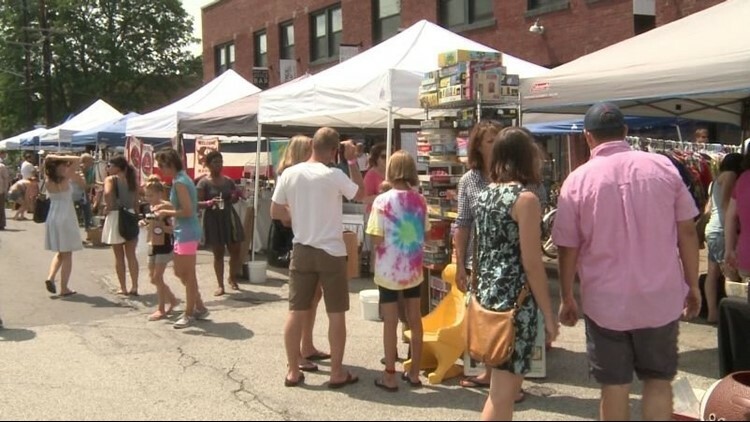 The event's website says Cleveland Flea will expand to Shaker Heights for two Sundays to close out the outdoor flea season. The East Side Flea will take over Shaker Heights' Van Aken District Sept. 16 and Oct. 21. The event's concept will remain the same: tons of vendors selling cool clothing, crafts and trinkets you didn't know you needed, and brunch options galore. HiHo Brewing Company will also be on site to ensure your Sunday Funday is done right. The next Cleveland Flea, located in the lot at 3615 Superior Ave., takes place Sept. 8.